Other number 4028 1644 349 On connector shroud. 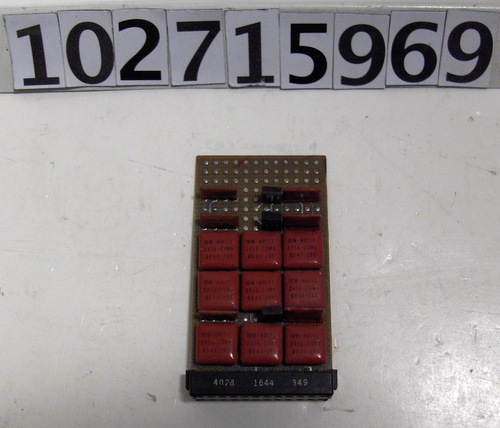 Object is a SLT Solid Logic Technology card used in IBM's System /360 family of machines. Logic modules are coated with a red material, indicating early production, as oppposed to bright aluminum caps as were used in nearly all production versions.